A TRIO Achiever is an outstanding former TRIO participant that has received recognition within his/her profession or for outstanding academic achievement. They are individuals who have made significant civic, community, or professional contributions. Monica Nunez graduated from Santa Teresa High School in 1999. Being the first high school graduate in her family was a major accomplishment. In high school, Monica was a member of the TRIO Upward Bound Program based at New Mexico State University. She credits Upward Bound with guiding her towards graduating at the top 5% of her class, with honors. Monica was awarded a full academic scholarship to New Mexico State University (New Mexico Scholars Scholarship). At New Mexico State University she received a Bachelor’s & Master’s Degree in Education. Monica taught 4th grade at Santa Teresa Elementary. During this time, Santa Teresa Elementary was awarded a National Blue Ribbon Schools Award in 2010, by Former President Barack Obama. This was the first school from Gadsden Independent School District to receive this distinction. Now in her 12th year of teaching in the Gadsden Independent School District. Monica is currently in her 5th year of teaching science at Santa Teresa High School. She continues to pursue opportunities that improve her passion for teaching. As a former National Park Service Teacher-Ranger-Teacher, Monica understands the vital importance of bringing real-world experiences into the classroom. 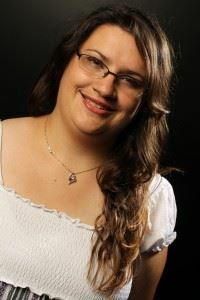 She is a state ambassador for the New Mexico Teacher Leader Network and a member of the Secretary’s Teacher Advisory. Monica serves as an advocate for teachers, parents, and students in Southern New Mexico. As a 2017 National Geographic Grosvenor Teacher Fellow, Monica was able to embark on an expedition to Antarctica this past December. She is now able to bring her experiences back into the classroom and community. Her goal is to broaden her students’ understanding of the world around them. Growing up in Albuquerque NM’s south valley – Denise E. Herrera is one of three children in a large, Hispanic family – living in a neighborhood where outcomes for children like her were not promising. Though Denise’s parents always placed high emphasis on education and they worked extremely hard to send their children to private school and college – they weren’t well equipped to help their children navigate the many complexities of higher education. While enrolled at the University of New Mexico, Denise vividly recalls receiving a (mailed) flyer– containing information about the “Research Opportunity” and “Ronald E. McNair Scholars” programs. Though a college undergraduate at the time (with PhD trained professors), it wasn’t until Denise’s TRIO involvement when she learned what a “PhD” was. Participation in TRIO set in motion an educational and professional journey that culminated in several graduate degrees, including a PhD from the University of Texas at Austin. Denise has devoted much of her her academic and philanthropic career to leveling the playing field for underserved populations to receive quality health services and education. Among her accomplishments as an emerging philanthropic leader overseeing millions of dollars in grants, Denise’s proudest endeavor is the scholarship/internship fund she created, which will launch at the National Hispanic Cultural Center Foundation to provide higher education opportunities for Hispanic, female students throughout New Mexico. Denise developed this fund to honor her parents as well as grandparents who did not have the opportunity to pursue higher education. The first cohort will be selected in Fall 2017. Denise joined the Robert Wood Johnson Foundation (RWJF) in 2013 with the Research-Evaluation-Learning (REL) unit. 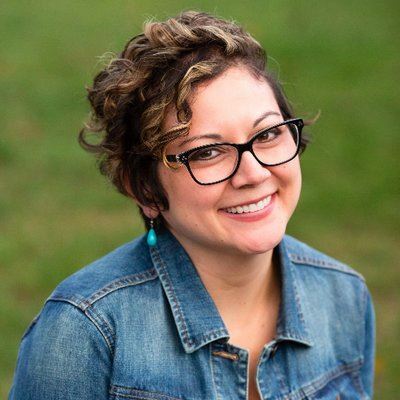 She employs her extensive training in proposal writing, program design, and culturally responsive evaluation in her work across all RWJF areas of focus. Denise’s experience includes consulting and collaborating on a host of federal and statewide initiatives – often serving as a liaison or intermediary among various educational, governmental, as well as private sectors. She has provided programmatic and evaluation expertise on advisory committees, community development, education, and civic engagement efforts in rural and urban areas in the U.S. and abroad. Denise currently manages RWJF’s Health Policy Research Scholars Program –  geared toward first and second year students in (research-focused) doctoral programs. She is also leading the evaluation of RWJF’s Change Leadership Programs, which aim to support the development of diverse leaders from multiple sectors – who can help us build a national Culture of Health. A graduate of New Mexico State University, who is working her doctorate in physics and astronomy at Vanderbilt University, will be recognized with the 2015 TRIO New Mexico TRIOAchiever Award in November, 2015. The award is given to those who successfully completed any TRIO program, including Upward Bound, Student Support Services, and the Ronald E. McNair Postbaccaulaureate Achievement Program. 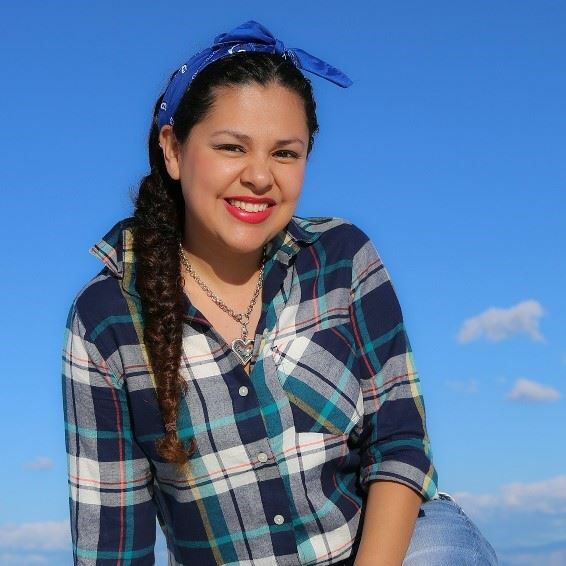 Perea participated in Upward Bound while attending Mayfield High School in Las Cruces. She went on to earn a bachelor's degree and master's degrees in physics from New Mexico Sate University, where she participated in Student Support Services. "As I made the transition from undergrad to graduate school, I still struggled academically with some subjects, and while I had all intentions of getting my Ph.D, I did not pass my qualifying exam at NMSU and left with a master's degree," PErea said. "A few things that I learned while in Upward Bound and Student Support Services though, was that there are people out there willing to help if you are willing to work hard. I eventually found another program, the Fisk-Vanderbilt Masters-to-PhD Bridge program, and received my second master's degree from Fisk University and have now successfully brdiged to a PhD program in physics here at Vanderbilt University." While working on her master's degree at NMSU, Perea interned with the COSMIAC research facility in Albuquerque, working on a CubeSat spacecraft to study atmospheric lighting. In the Fisk-Vanderbilt program, Perea uses her background in materials to learn about and work with radiation detectors. "My knowledge of materials helped me to understand the growth processes of the crystal used as the detector material, and how the growth can affect their performance," Perea said. "At Fisk, I worked with both scintillators and semiconductors, and became interested in applications of detectors and instrumentation in general, knowing that their applications extended from the medical and security fields to the Earth and planetary sciences. This led to two internships at NASA Goddard Space Flight Center, where I was able to field test a scintillator detector at high gamma-ray energies." The results from Perea's research into how radioactive decay stemming from incident high energy neutrons may be used to probe the composition of a planet led to her first publication. 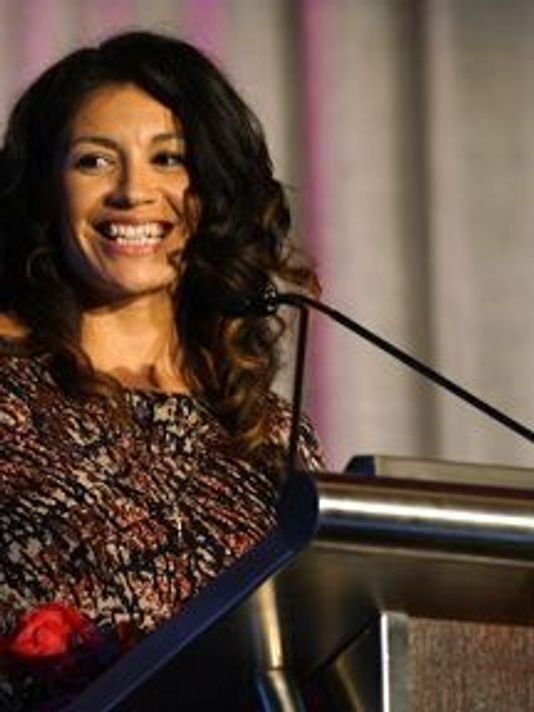 Perea received the award in November during the TRIO Achiever's Luncheon in Albuquerque. An alumna of the Upward Bound program at New Mexico State University and executive director of New Mexico Communities in Action and Faith, was recently named one of the winners of the 2015 National TRIO Achievers Award, which honors individuals of distinction who, as students, made the most of their TRIO participation. The Council for Opportunity in Education, a nation organization dedicated to furthering the expansion of postsecondary opportunities for low-income and first-generation students, hands out the award annually to several winners. Nearly 3,000 federal TRIO programs help low-income and first-generation students overcome class, social, academic and cultural barriers to enter college and graduate. Nolan, a graduate of Gadsden High School in Anthony, N.M., also participated in the Upward Bound Math/Science program at Trinidad State Junior College in Trinidad, Colorado, and earned a bachelor's degree in theology and Latin American studies from the University of San Francisco. In the past, she has received the National LULAC Women's Conference Outstanding Women Award, and was a Demos Movement Maker Fellow for Inclusive Democracy. "The series of events that led me from Gadsden High School to New Mexico State University to Trinidad State Junior College, then to San Francisco, and finally my current vocation isn't luck. Luck is the residue of design," Nolan said. "Upward Bound and Upward Bound Math/Science were designed to pluck young women like me out of poverty and set me on a path of success and purpose." In their recommendation letter, NMSU Upward Bound program coordinator Vince Engling and former NMSU Center for Learning Assistance director Susan Brown said Nolan's work has improved the quality of life for countless individuals. The communities in Southern New Mexico are better places and the residents have better lives because of her." Silvafierro received her award Sept 19 at the 34th Annual Council for Opportunity in Education conference in Atlanta.